Our first contest winner all the way from Latvia. 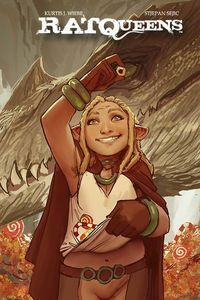 Alise wrote a review for Rat Queens issue #12. Although I still like Upchurch’s art in Rat Queens, but Tess Fowler is very good substitute, she’s pretty good. When it comes down to story it’s still The Rat Queens I fell in love with. In this comic you can get to know something about the girls and have some excitement. We really love Rat Queens because it’s the perfect combination of humor, fantasy, and action. The team does a really great job month after month of hooking us in. So excited to follow the adventures of Hannah, Violet, Dee, and Betty. 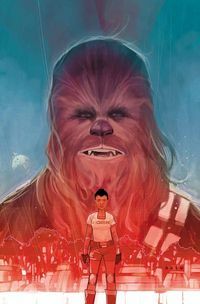 I was pumped for this mini series, because Chewbacca is one of my favorite characters. But this first issue was very uninspired. It’s like reading a Groot comic, in that you never really know what Chewie is saying, so it’s up to the other people in the scenes to drive the dialogue. And the character they used in this story line is pretty boring. I’m hoping this story picks up in the rest of the issues and I’ll keep buying them because I’m a Star Wars nerd, but I was hoping for much more. See two other 5-star reviews for this issue. Picked this up to make my order qualify for free shipping, It was the Willow #1 comic from the BTVS universe. I’m very happy with it as I’ve read the digitals and now I have a copy of the floppy….which I’ll need to pick the rest up now. I just love Will’s response to the book he got as a grab bag. 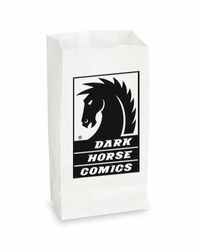 You never know what you’re going to get with our $.50 Grab Bag Comic, and that’s actually part of what makes them so great. I can’t tell you how many people I’ve talked to who have gotten something they would have never picked up at full price, but ended up loving the issue so much they started reading the series regularly. Jared’s review for Lando #5. Order the Lando TPB. Sarah’s review for Clean Room #2. See more of Gail Simone’s Clean Room. Sharray’s review for Fight Club 2 #5 (Steve Morris Variant Cover). See other Fight Club 2 issues. Eddy’s review for the Wytches TPB. See more books by Scott Snyder.